We are experienced in assisting our clients with issues in relation to personal insolvency and bankruptcy. Our office in Central London, 32 Bloomsbury Street, WC1B 3QJ is conveniently located close to Tottenham Court Road underground station and the British Museum. We also have offices in Finchley, Northwest London and Hatfield, Hertfordshire. If the matter is urgent, we will endeavour to see you on the same day and if necessary, we can arrange representation for a hearing on relatively short notice. We are a very approachable firm. Please telephone us, there is no charge for an initial telephone consultation which is usually about five to 10 minutes. We also can arrange an initial fixed fee meeting. This is now conducted online. We provide detailed advice, including what to do in relation to bank accounts, payments of salaries etc. Subsequent to the making of a bankruptcy order, any monies in your bank accounts will be frozen, and it is therefore necessary to apply for a new bank account to be opened. This is particularly important if you receive monthly salary payments into your bank account which you rely upon for your living expenses. Not all banks will agree to open an account for an undischarged bankrupt. In difficult cases we are happy to accompany clients to meetings with the official receiver in order to protect their interests at the meeting. Under the rules, the trustee in bankruptcy can apply to obtain any gifts or assets acquired by the bankrupt prior to his discharge. For instance, if a bankrupt is due to receive a large inheritance, we would advise you on this issue. An undischarged bankrupt is subject to a number of restrictions. We run through with our clients the restrictions that are applicable until discharge, normally a year after the making of the bankruptcy order. A trustee in bankruptcy can apply to receive payments of a specified amount from the income of a bankrupt every month, for up to three years. We can assist in defending such applications. This is a key area of the work we undertake. We often defend claims by HMRC and Local Authorities (for both council tax and business rates). In appropriate circumstances, we can introduce a broker to endeavour to obtain insolvency finance. We also defend statutory demands/petitions where there is a defence to the monetary claims being raised. In appropriate circumstances, in the statutory demands/petition stage we are able to apply to set aside relevant judgments/liability orders upon which the statutory demand/petition is based. Once a bankruptcy order is made, it is still possible to make such applications but with the consent/cooperation of the trustee in bankruptcy. This is a common endeavour which we undertake, normally on the basis of payment of the debts and expenses of the bankruptcy in full and also with the assistance of insolvency/annulment finance being raised for this purpose. It is also possible to apply to set aside a bankruptcy order upon the grounds that it ought not to have been made. We also undertake work in relation to the defence of the family home where a trustee seeks a possession order. 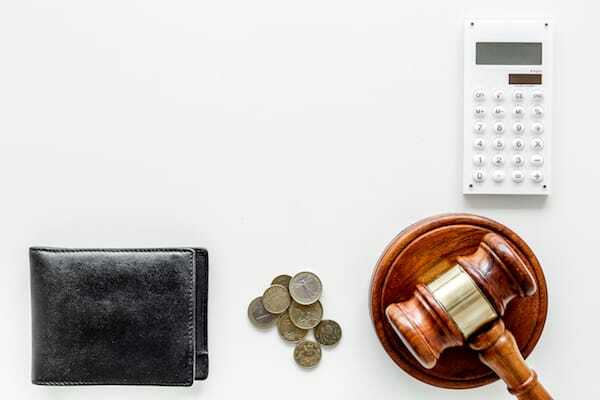 The usual position is either to endeavour to annul the bankruptcy or to buy out the interest in the property of the trustee – whichever involves the lower amount of money. We also raise on behalf of spouses/partners claims to an enhanced share of the property based upon equitable accounting for instance if the spouse/partner has been the sole payer of the mortgage or paid for improvements or an extension to the property. This includes transactions where it is alleged that they were sold at an undervalue and alleged preferences. An important consideration is that the trustee well only issue proceedings if they can secure adverse costs insurance for which they would usually need a favourable opinion from their own counsel. This is an application to extend the period for bankruptcy restrictions subsequent to the discharge of the bankrupt. In certain cases, it is possible to endeavour to negotiate with the Treasury Solicitor who would be representing the insolvency service. We are experienced in undertaking debt collection through this method. This should only be carried out where there is no bona fide dispute to the monies being claimed. Usually we send a pre-action protocol letter to the debtor in order to flush out any defences. However, if the debt is over the bankruptcy limit, currently £5,000, then it is possible to use this process very effectively in relation to collecting monies owed. The debtor will have a choice of either coming to a deal agreeing to pay in full or by instalments and/or with security or alternatively going bankrupt. We have found that debtors are usually prepared to raise money to avoid going bankrupt.